The Fukushima nuclear leak, super typhoon Haiyan, Syria, the economy, the environment. More bad news from around the world. But for us who are looking for the end of all things, bad news is, in one sense, good news. Very bad news for the people of the Philippines as an extremely severe storm is hitting them even as I type this. "Extremely strong" is an understatment; can you imagine winds of 380 kph? This is being called "the strongest tropical cyclone to make landfall anywhere in the world in recorded history!" We also should be considering what is happening in Japan and pray that the worst doesn't happen there with the Fukushima nuclear leak. Also, there are significant developments that fit the prophesied war in the Middle East that we have been anticipating for some years now. 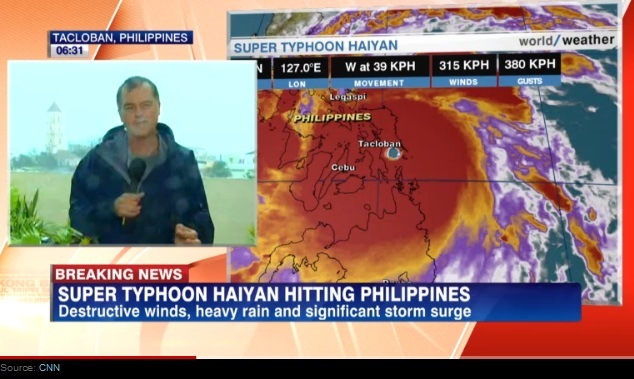 (CNN) -- With 25 million people in its path, one of the strongest tropical cyclones ever observed, Super Typhoon Haiyan, made landfall Friday morning in the Philippines, the country's weather service reported. At least three people, including a 1-year-old, were killed. The infant and another person were hit by tornado debris in Cotabato province, the country's National Disaster Risk Reduction and Management Council said. In Cebu, a woman died when she was hit by a falling coconut tree, according to the provincial government of Cebu. Tens of thousands of people in vulnerable areas of the central Philippines were evacuated earlier as the monster storm spun toward the islands. With sustained winds of 315 kph (195 mph) and gusts as strong as 380 kph (235 mph), Haiyan was likely the strongest tropical cyclone to make landfall anywhere in the world in recorded history. It will take further analysis after the storm passes to determine exactly if it is a record. Ray's note: clearly things are getting stranger and scarier on planet earth - 380 kph winds! 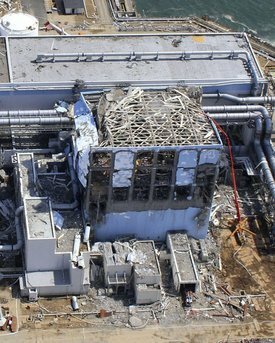 An operation with potentially "apocalyptic" consequences is expected to begin in a little over two weeks from now - "as early as November 8" - at Fukushima's damaged and sinking Reactor 4, when plant operator TEPCO will attempt to remove over 1300 spent fuel rods holding the radiation equivalent of 14,000 Hiroshima bombs from a spent fuel storage tank perched on the reactor's upper floor. [...] spent fuel rods will be pulled from the racks they are stored in and inserted one by one into a heavy steel chamber while the assemblies are still under water. Once the chamber is removed from the pool and lowered to the ground, it will be transported to another pool in an undamaged building on the site for storage. Ray's note: I just issued the latest newsletter for my health website and featured measures you can take to protect from nuclear radiation. Check it out and perhaps consider some preparations just in case the Fukushima nuclear leak situation gets much worse as it easily could. 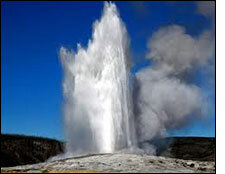 "Right now, the ground underneath Yellowstone National Park is rising at a record rate. In fact, it is rising at the rate of about three inches per year. The reason why this is such a concern is because underneath the park sits the Yellowstone supervolcano -- the largest volcano in North America. Scientists tell us that it is inevitable that it will erupt again one day, and when it does the devastation will be almost unimaginable. A full-blown eruption of the Yellowstone supervolcano would dump a 10 foot deep layer of volcanic ash up to 1,000 miles away, and it would render much of the United States uninhabitable. When most Americans think of Yellowstone, they tend to conjure up images of Yogi Bear and 'Old Faithful', but the truth is that sleeping underneath Yellowstone is a volcanic beast that could destroy our nation in a single day and now that beast is starting to wake up." "Louisiana health officials are using chlorine to kill a brain-eating amoeba lurking in the New Orleans water supply. The amoeba, Naegleria fowleri, causes a deadly form of meningitis when inhaled through the nose. It has killed at least two children this summer. "Early symptoms of a Naegleria infection include a severe frontal headache, fever, nausea and vomiting, according to the CDC. But those can swiftly give way to a stiff neck, seizures, confusion and hallucinations as the amoeba makes its way up through the nasal cavity into the brain. "'After the start of symptoms, the disease progresses rapidly and usually causes death within about five days,' the according to the CDC. 'People should seek medical care immediately whenever they develop a sudden onset of fever, headache, stiff neck and vomiting, particularly if they have been in warm freshwater recently.'" "Iran could produce enough weapons-grade uranium to build an atomic weapon within two weeks and has, 'in a certain way,' already reached the point of no return in its nuclear program, a former senior International Atomic Energy Association official said Monday. "A report released last week by the Washington-based Institute for Science and International Security which stated Iran could muster enough uranium for a bomb by converting all of its 20-percent enriched stockpile within 1 to 1.6 months." Is Hezbollah's Syria Approach Tied To Shiite End-Times Doctrine? 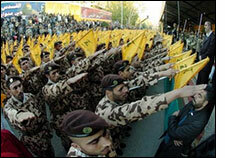 Iranian soldiers giving what looks like a Nazi salute. "A Lebanese reporter for the Al-Monitor Middle East news service explains that Iran and Hezbollah view the Syrian civil war not only in a strategic context, but in a prophetic one. In their belief, the radical Sunnis will conquer Syria for a short period of time and then Iranian forces will intervene on their way to destroying Israel. "The unnamed reporter points out that Hezbollah leader Hassan Nasrallah is, like Iranian Supreme Leader Ayatollah Khamenei, 'known for being a strong believer' in the Shiite prophecy that Iran will lead an End Times war against Islam's enemies. At that time, the Mahdi will 'reappear' and defeat the infidel. "According to the author, Iran and Hezbollah rely upon a book of prophecies called Al-Jafr to guide them. 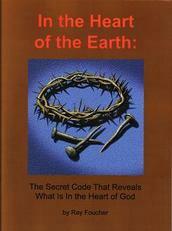 Teachers of this book say that the Syrian leader will be killed in a civil war during the End Times. "A Sunni leader will take over Syria and persecute Shiites, Allawites and Christians. The persecution will continue until an Iranian army invades Syria via Iraq, killing this Sunni leader on the way to capturing Jerusalem. Once Jerusalem is taken, the Mahdi will appear. Interestingly, in a modern context, this means that Hezbollah is fighting to preserve the regime of a man (Bashar Assad) that they believe will be killed." DOHA, (Reuters) - Saudi Arabia's intelligence chief has said the kingdom will make a 'major shift' in relations with the United States in protest at its perceived inaction over the Syria war and its overtures to Iran, a source close to Saudi policy said on Tuesday. "Prince Bandar bin Sultan told European diplomats that Washington had failed to act effectively on the Syrian crisis and the Israeli-Palestinian conflict, was growing closer to Tehran, and had failed to back Saudi support for Bahrain when it crushed an anti-government revolt in 2011, the source said. "'The shift away from the U.S. is a major one,' the source close to Saudi policy said. "The United States and Saudi Arabia have been allies since the kingdom was declared in 1932, giving Riyadh a powerful military protector and Washington secure oil supplies. "The prince's initiative follows a surprise Saudi decision on Friday to reject a coveted two-year term on the U.N. Security Council in protest at 'double standards' at the United Nations. "Kerry said he had told the Saudi minister that no deal with Iran was better than a bad deal. 'I have great confidence that the United States and Saudi Arabia will continue to be the close and important friends and allies that we have been,' he told reporters in London." "Prince Bandar told diplomats that he plans to limit interaction with the U.S.," the source close to Saudi policy said. "This happens after the U.S. failed to take any effective action on Syria and Palestine." "Relations with the U.S. have been deteriorating for a while, as Saudi feels that the U.S. is growing closer with Iran and the U.S. also failed to support Saudi during the Bahrain uprising." Saudi anger boiled over after Washington refrained from military strikes in response to a poison gas attack in Damascus in August when Assad agreed to give up his chemical arsenal." the holiday season will bring. "Are we on the verge of another major economic downturn? In recent weeks, most of the focus has been on our politicians in Washington, but there are lots of other reasons to be deeply alarmed about the economy as well. "Economic confidence is down, retail sales figures are disappointing, job cuts are up, and American consumers are deeply struggling. Even if our politicians do everything right, there would still be a significant chance that we could be heading into tough economic times in the coming months. "Our economy has been in decline for a very long time, and that decline appears to be accelerating. There aren't enough jobs, the quality of our jobs continues to decline, our economic infrastructure is being systematically gutted, and poverty has been absolutely exploding. "Things have gotten so bad that former President Jimmy Carter says that the middle class of today resembles those that were living in poverty when he was in the White House. But this process has been happening so gradually that most Americans don't even realize what has happened. Our economy is being fundamentally transformed, and the pace of our decline is picking up speed. 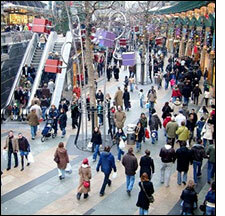 The following are 22 reasons to be concerned about the U.S. economy as we head into the holiday season." 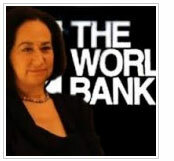 "Join Greg Hunter as he goes One-on-One with whistleblower and former Senior Counsel for the World Bank, Karen Hudes. "If the whole world is holding its breath before this pathetic game of the US elite; it's not out of compassion, it's to avoid being swept away in the fall of the world's first power. Everyone is trying to free itself from American influence and let go of a United States permanently discredited by recent events over Syria, tapering, shutdown and now the debt ceiling. The legendary US power is now no more than a nuisance and the world has understood that it's time to de-Americanise." Summary The Fukushima nuclear leak, the super typhoon hitting the Philippines, the potential for Middle East war - all of these things should be driving us to seek a closer walk with our God. He is eager for each one of us to turn to Him as He greatly desires fellowship with His children. Get into the Word, His Word and study for therein are the words and the way of life.